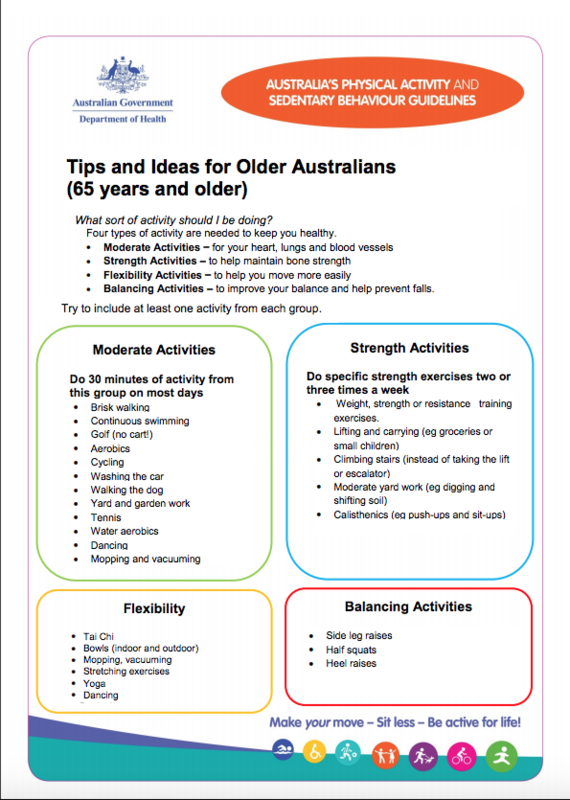 For physical activity recommendations for older adults, see here. 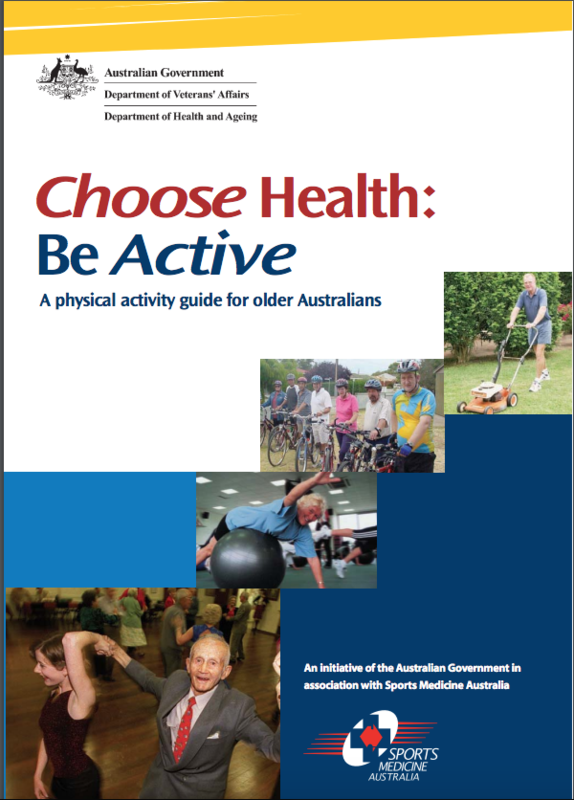 Typically, ageing in older adults has focused on the prevention of chronic disease. However, measures are being taken to promote and reduce the frailty, and improve the independence, cognitive function and mental health of older adults (Bauman, 2017) with data from the National Institute on Aging (2011) suggesting >95% of older adults prefer to stay in their own homes. 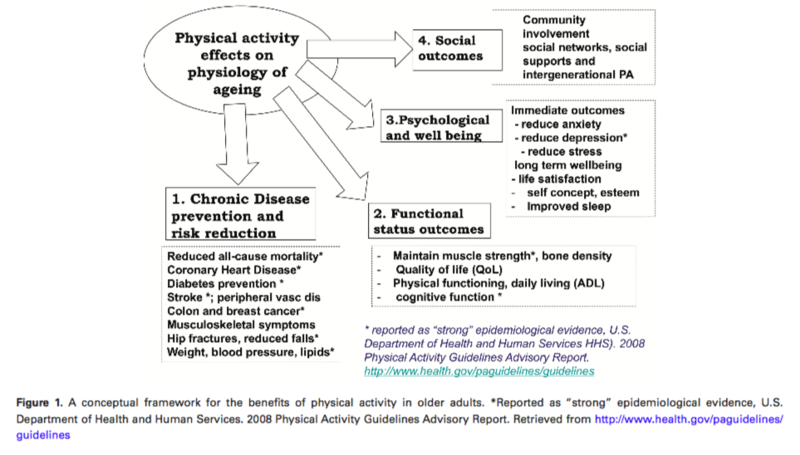 Below is a conceptual framework for the benefits of physical activity in older adults. Resistance training has shown similar benefits for older adults in maintaining or increasing muscle mass, mitigating the effects of muscle loss with ageing. See our strength after 60.